In 1998, archaeologists digging in the old Jewish quarter in Erfurt, a city in Germany, could not believe their eyes. They had uncovered, beneath a stone wall in the basement of a house from medieval times, a remarkable treasure. This spectacular hoard of jewelry, coins and silverware included 3,141 silver coins, 14 ingots of silver, and more than 700 pieces of gold and silver Gothic jewelry, as well as rare clothes. The 14th century dates on the coins, and the distinctly Jewish nature of some of the items including a beautiful wedding ring adorned in gold, led researchers to conclude that the treasure belonged to Kalman von Wiehe, a Jewish merchant and the house’s owner. He had probably buried it in January 1349, just before the Black Plague pogroms devastated Erfurt’s Jewish community. The treasure remained buried for centuries. One of the most remarkable items in the Erfurt Treasure is a wedding ring. You see here an exact replica. The actual ring will be presented to the public in 2018 when Beit Hatfutsot The Museum of the Jewish People opens its new permanent display. 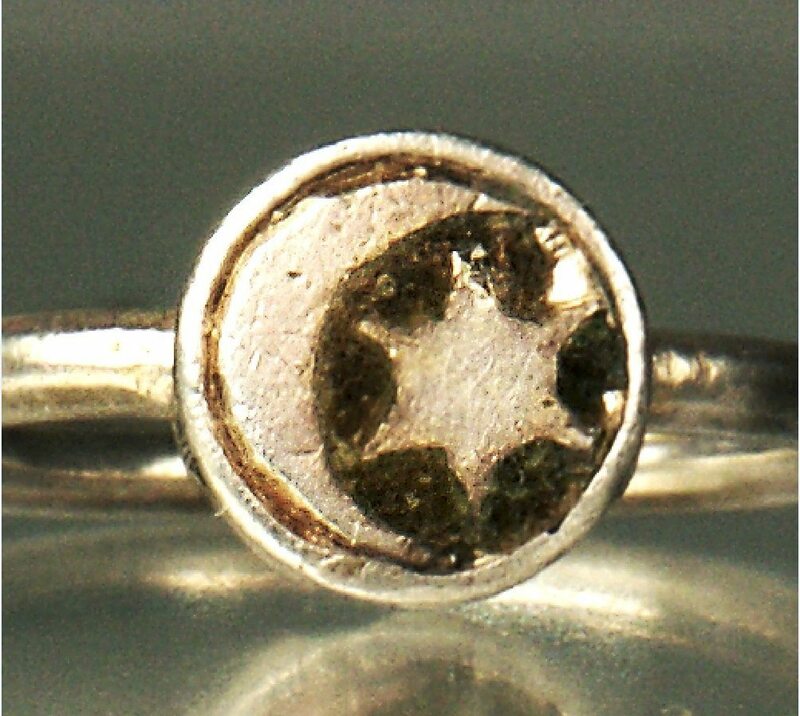 This ring, a unique combination of silver, gold and enamel, is decorated with a crescent and a six-pointed star, which were probably typical decorations for Jewish wedding bands of this period. Jewish treasures discovered in Colmar, France included two rings with similar decorations. As with the Erfurt Treasure, the Colmar Treasure was likely buried during the pogroms that swept Europe during the Black Plague (1348-1350). Archaeological excavations in modern Europe are often initiatives by cities and regions who want to show local people their history. Archeologists are uncovering evidence of a shared past that makes the Jewish story an intrinsic element in the histories of European towns and communities. The Erfurt Treasure reveals much about a medieval Jewish community. But the people living in Erfurt today see it as something deeper. It is part of their own story. Opening in late 2018, our new permanent exhibition will take visitors on a unique journey that tells the incredible, ongoing story of the Jewish people in a new way. Advanced technology will create an interactive and thrillingly personal experience that will be complimented by authentic, ancient objects from the Jewish past. This replica of the golden ring from the Erfurt Treasure is a small taste of the marvels that our curatorial team is gathering together. The new Beit Hatfutsot, in its diversity and vibrancy, will be truly the Museum of the Jewish People.